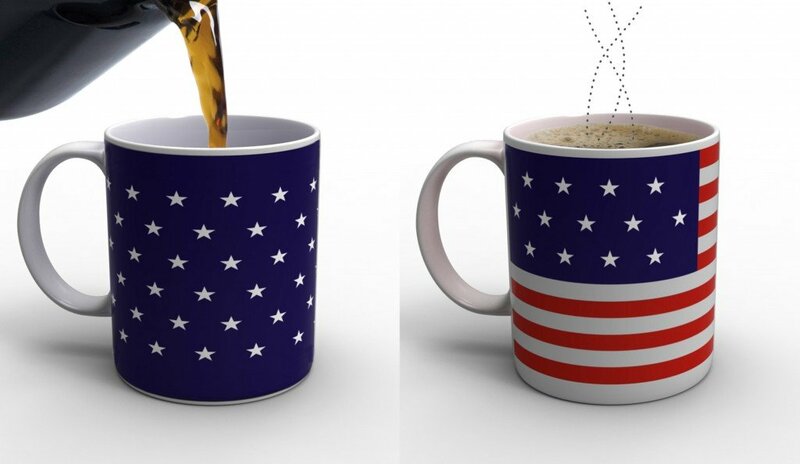 Color Changing Mugs: How Do Heat Sensitive Mugs Work? Science of Magic Mugs: How Does Heat-Sensitive Paint Work? 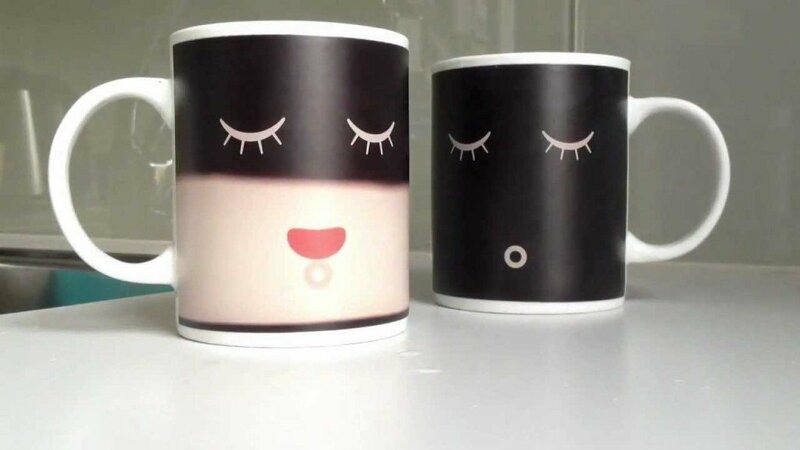 The paint they coat the heat changing mugs with is called heat-sensitive paint – a paint that is sensitive to changes in temperature. Heat-sensitive paint is used in a variety of things, including mugs, baby bottles, kettles, car engines and much more. While sipping on a coffee at a friend’s the other day, I noticed something rather bizarre about the coffee mug. At first glance, it appeared to be a regular, white cup. However, when coffee was poured into it, a picture of a guy doing a facepalm appeared on one side! I was fascinated, and admittedly a bit surprised, but as I started to examine the picture, it vanished without a trace, as if it had never been there at all! What I initially thought of as a brilliantly executed prank turned out to be an impressive example of thermochromism and heat-sensitive paint. The term may sound like a phenomenon pulled straight from a scientist’s dictionary, but in simple words, thermochromism is the property of certain materials to change their own color in response to a change in temperature. Thermochromism actally lies under the umbrella of a chemical phenomenon called chromism – a process that causes color changes (usually reversible in nature, meaning they can regain their original color) in certain materials. 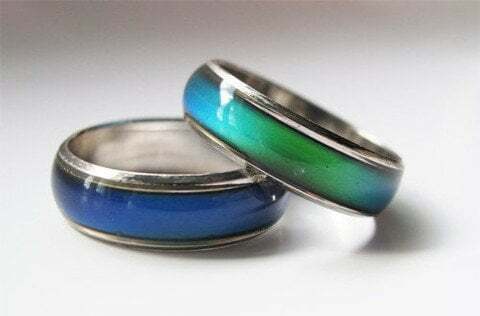 An impressive example of thermochromism can be seen in mood rings, which change their color according to the skin temperature of the wearer. How is Thermochromism Connected to Magic Mugs? In essence, thermochromism is the principle on which color-changing mugs and other such objects work. Since the term ‘thermochromism’ sounds a bit technical, the paint that they coat the mugs with is called ‘heat-sensitive paint’ – a paint that is sensitive to changes in temperature. Heat-sensitive paint is used in a variety of things, including mugs, baby bottles, kettles, car engines and much more. How Does Heat-Sensitive Paint Work? Also referred to as thermochromic paint, heat-sensitive paint contains pigments that change color according to changes in the surrounding temperature. There are two main types of these pigments: leuco dyes and thermochromatic liquid crystals. Liquid crystals are used for high-precision tasks, namely where the smallest of changes in temperature must be monitored by the changing color of the material. Therefore, these are not used in regular use objects like coffee mugs or baby bottles, which just need an approximation of the temperature as ‘too cold’ or ‘too hot’. For this simpler purpose, leuco dyes enter the picture. Thermochromic dyes are made from mixtures of leuco dyes and other suitable chemicals. The color changes that you see are basically the leuco dyes changing form from being colored to colorless (or transparent). Such dyes usually come in the form of micro-capsules that have the mixture sealed inside them. 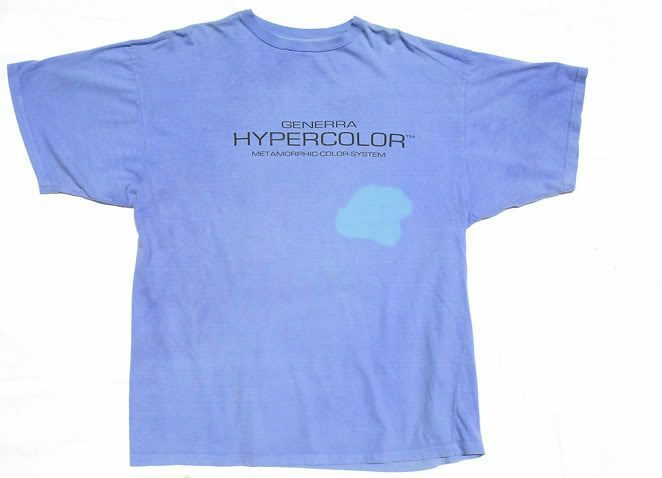 A fascinating example of such capsules was in Hypercolor garments (a popular fad of clothes that changed color based on temperature variations). The optical properties of the dye change, making it appear either opaque or completely transparent! In short, it’s the melting of those crystals (that are already mixed with the dye) that changes the pH of the environment. Thus, when the mug is filled with coffee and hot, the dye remains black and you can’t see any pictures on the side of the mug. However, as you drink from it and essentially bring its temperature down slightly, by removing the hot liquid from the top area of the mug, the dye becomes transparent and voila! The picture is revealed! Now, if you ever visit a friend who tries to freak you out by putting a scary picture on the side of your coffee mug, you can outsmart them by simply ‘playing it cool’.